Do you love adventure and bikes? Would you like to see much more in definitely shorter time? One of the best options will be bicycle trip. 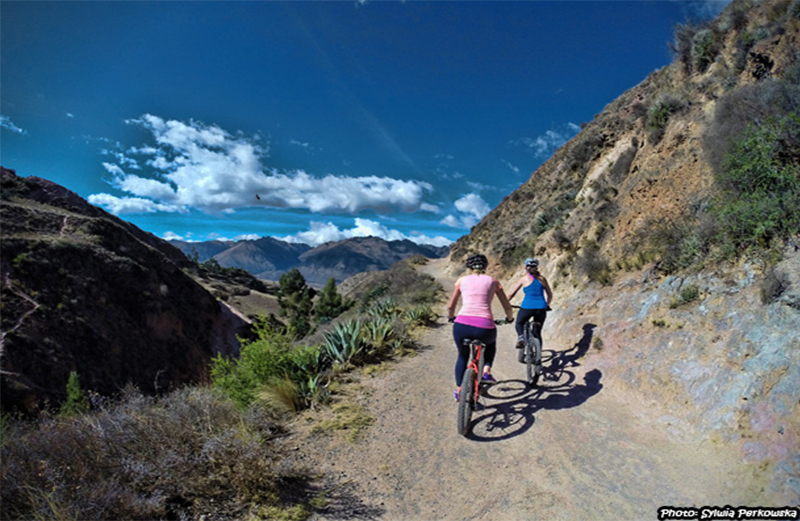 Check our tips about how to organize bike adventure in Cusco region. What you need to know before starting bike adventure tour? 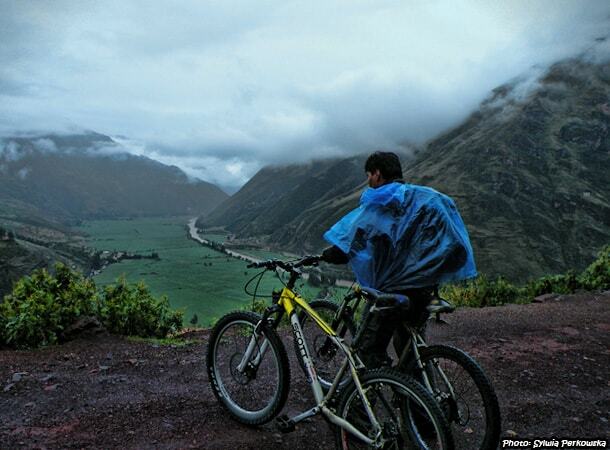 Peru and especially Cusco region is a heaven for bikers and biking adventures. 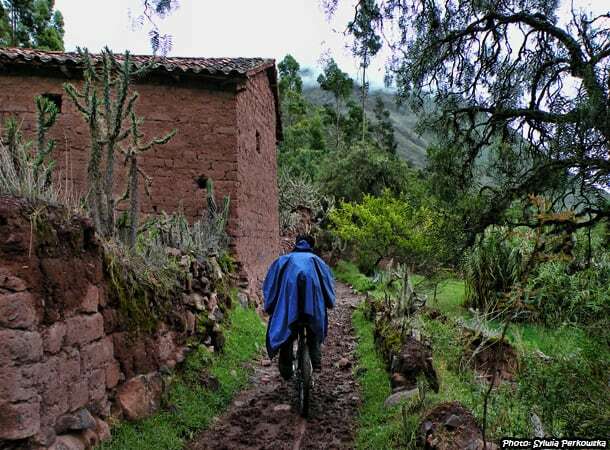 Amazing landscapes, beautiful mountains, small villages with typical houses built from adobe bricks, lovely people on the way, lamas, alpacas… It is only a small part of what you will have possibility to see during your bicycle trips in Cusco region. There are a lot of routes, paths, which you can choose for your bicycle adventure. Depending on your skills, your will and of course wallet possibilities, you can choose between mountain biking and relaxing biking tours or you can also combine both in one. If you consider doing mountain biking I will rather recommend you to choose one of the companies who specialize in that kind of adventures instead of doing it by yourself. Of course if you are a mountain biker, for sure it will be not necessary. As an experienced biker you will for sure know how to deal with the bike, if something will happen on the way, how to fix a bicycle inner tube, how to deal with more steep paths, roads and etc… But if you do not have too much experience in that, and you just want to check one of the mountain roads, definitely go with the company. Why? 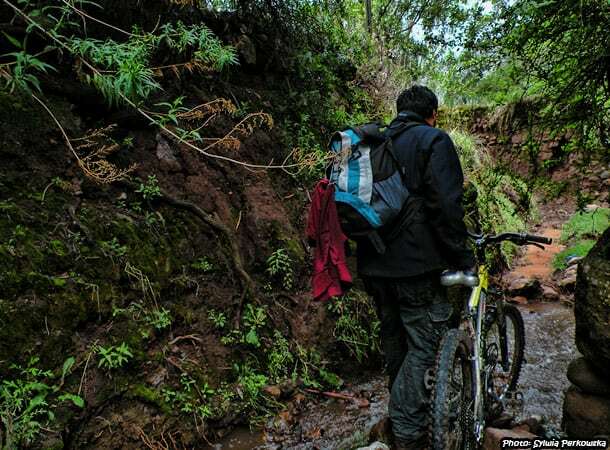 First of all because they know all about the biking roads in Cusco region, and they always adjust the difficulty of the paths to the skills of each biker. Moreover, you will not have to worry about transport, equipment (not only good bike, but also gloves, helmet, protection for the knees and arms). You will also do not have to be worried about problems with the bike on the way (what can and usually happen, if you do more advanced biking tours, like mountain biking). In that case your guide will take care of the bike, I mean will repair it or will change for another. If you go with the company, the good one usually have one or two extra bikes just for case. Well, if you will choose the company, you will pay more – that is without doubts, but for sure you will avoid stress and will enjoy the whole tour, instead of be worried about the transport, bike, equipment, which route to choose, to feel comfortable, etc. Other thing is when you decide to do some relaxing biking tour. In that case you can try to organize it by yourself. If you will know the route which you would like to follow and if you know at least how to patch a hole in the inner tube or change the inner tube, then it should not be a problem. You just need to rent the bike, take a public transport and enjoy the great adventure. Renting the bike for all day can cost between 30-50$. There are some places where you can rent a cheap bike, for around 13-15 $, but believe me, it can change your holiday in disaster. The bikes for this price are more than horrible. If you are lucky, you will do the tour with it, but be aware, that often there can be serious problems with the shifters or other parts, and for sure it will be just hard to ride with this kind of bike. 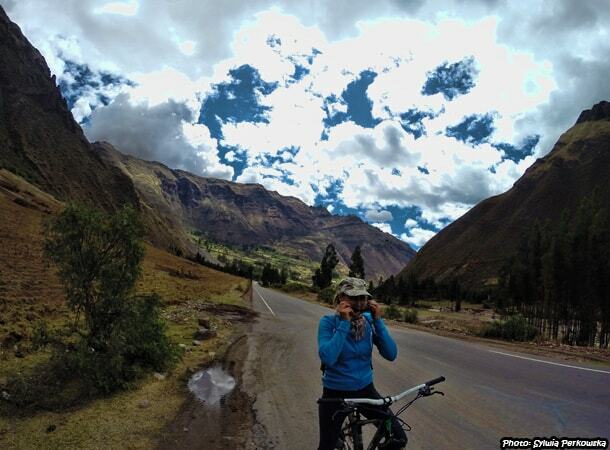 Let’s check how to organize bike adventure in Cusco region on your own. 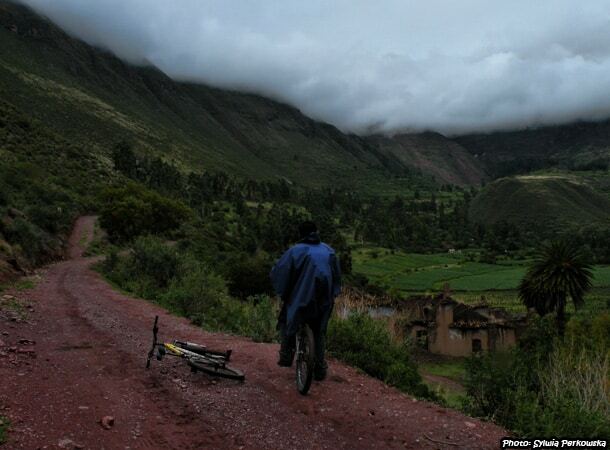 One of the easiest bicycle routes near Cusco is the one from Pisac to Urubamba. 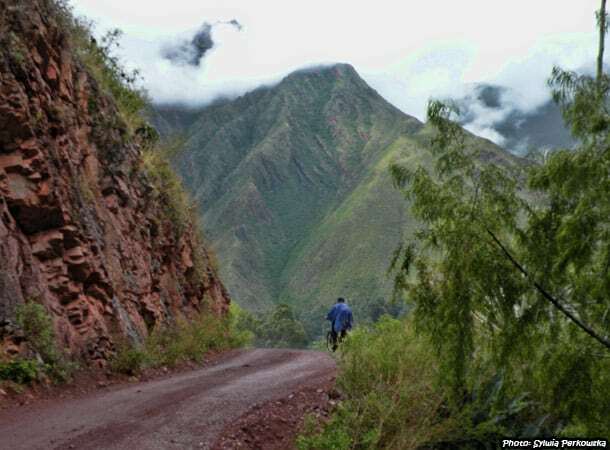 It is a very lovely, easy, paved road, running between the mountains along the river Urubamba in the Sacred Valley (Valle Sagrado de los Incas). It is almost all the time flat. There are only some moments where you will have to go up the hill, but these parts are short and not steep. This bike tour is recommend for every kind of biker, especially for those of you, who are not advanced bikers, but still would like to try bike adventure near Cusco. Rent a bike one day before (in the evening) or make an agreement with the rental place, that you will pick it up very early in the day of you trip. The best option is to start the tour maximum at 7 am. The bus station where you can catch the bus to Pisac on the street called Tullumayo. The cost of ticket 2,5 soles (on Saturday and Sunday 3,5 soles) + around 2 soles for the bike. You can also choose a little bit more expensive transport (the small bus), which you can find on Puputi street. The ticket will cost you around 4 soles + 2-3 soles for a bike. From Pisac you need to go in direction of Urubamba, but here just remember!!! Do not take the main asphalt road going to Urubamba (road number 28B). Instead take another, beautiful, almost free from any vehicles, road on the opposite side of the Urubamba river. This is not an asphalt road, instead it is very well-tamped sand road – so perfect for bikes. How long it will take? 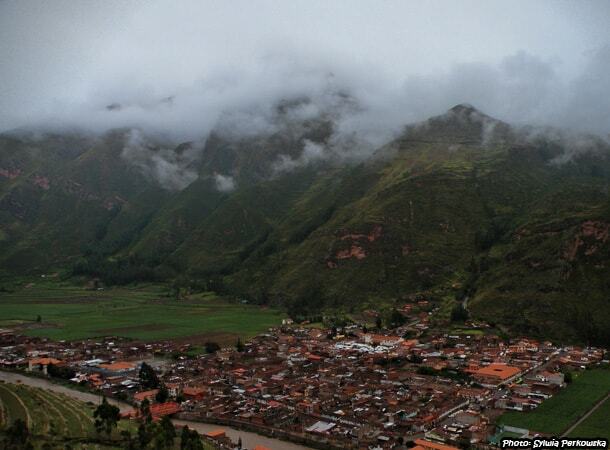 The distance from Pisac to Urubamba, by main, asphalt road, is around 64 km. More or less the same distance will be in the sandy road, because it is going almost parallel to the main one. Hhmm… looks like a lot to ride? Do not be worried! The good news is that you can always finish your trip earlier. Just you need to remember, that riding by this paved road, you will not catch the bus to come back to Cusco. First you need to look for a bridge, then cross the Urubamba river and reach the main asphalt road. The bridges are located every few kilometers, so it should not be a problem. If you will feel tired more or less in the middle, the good option will be to finish the trip in the town called Calca. The distance between Pisac and Calca is only 19 km. This is a very nice town to visit. There is also hot springs available, so you can take a warm bath too. If you will stop in Calca, visit also the market and drink a delicious juice there. It is very cheap and refreshing. From Calca you can catch the bus going to Cusco. If you ride by bicycle a lot, and for example you know that 50-60 km per day it is not a problem for you, than I recommend you to start the trip before Pisac, in the place called Yuncaypata. In that case, instead of going directly to Pisac, you can leave the bus earlier – around 19,4 km before Pisac and do downhill to that town. 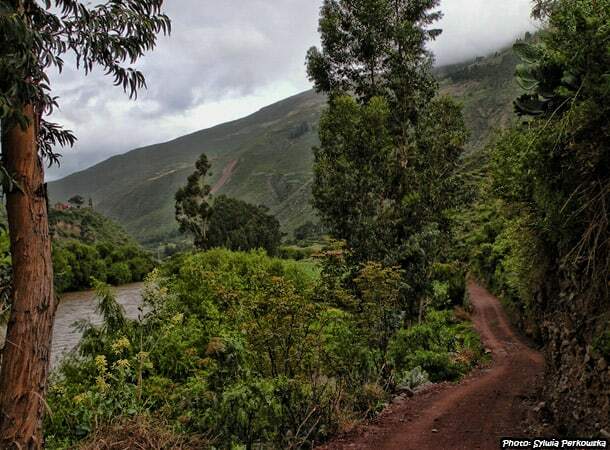 And then follow the paved sandy road to Urubamba, like in the description above. 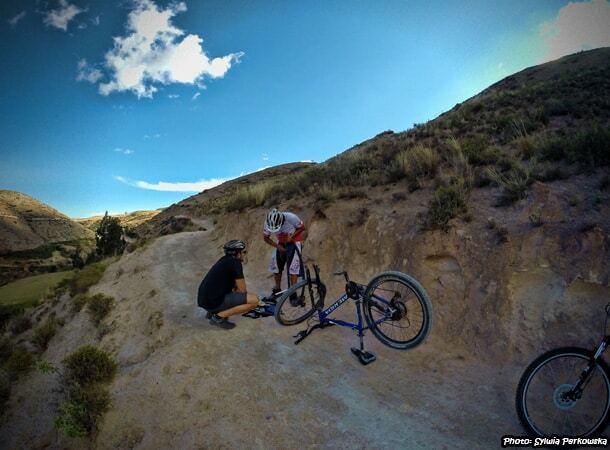 When is the best time to organize bike adventure in Cusco region? Actually every moment will be perfect, just experiences will differ a lot. During the dry season you will enjoy all the time clear sky, without clouds. But the landscapes will be mostly yellow – thanks to the strong sun. For a change, during rainy season you will have more clouds, but also more colorful landscapes, with a lot of green and red parts. Maybe only in January and February, when the rainy season is the strongest, you can have some difficulties and you can enjoy definitely less. Some parts may be unavailable for bicycles. For example I was riding by bike on the route Urubamba – Pisac in October and at the beginning of December I did the opposite road from Pisac to Urubamba. The second time we had more rain and more mud, but the view was even more spectacular. Everything was more colorful. The clouds which were hanging quite low, covering some parts of the mountains, looked spectacular too, so I really enjoyed that trip, although half of the way was raining. Photos that you see above and below show some of the alternative routes on the road. If you do not like such paths, continue the expedition on the sandy road instead turning to the other smaller. I wish you a wonderful time during your bicycle tours in Peru.